Born: 11 January 1876, Cape Town, South Africa. Died: 20 February 1973, Place not known. John George Rose, analytical chemist, was the only son of John E.B. Rose, auditor-general of the Cape Colony, and his wife Emerentia Steytler. He was educated at the South African College School, Cape Town, matriculating in 1893 through the University of the Cape of Good Hope. Though he continued his studies at the South African College under Professor P.D. Hahn* in the Department of Chemistry until 1896, he did not complete his degree. In October 1896 he entered the civil service of the Cape Colony as a temporary assistant analyst in the Government Analytical Laboratory, Cape Town, under Dr C.F. Juritz*. The next year his appointment was made permanent. Following the formation of the Union of South Africa in 1910 he was appointed as first grade chemical assistant in the Government Analytical Laboratory (later the Union Chemical Laboratory), Cape Town, in April 1912. In 1929 he became chief chemist to the South African Railways and Harbours Administration, a post he held until his retirement at the end of 1935. Rose was a member of the South African Association for the Advancement of Science by 1903. In 1910 he contributed two papers to the association's Report for that year, "The Insizwa copper-nickel deposits" (pp. 129-132) and "A new Cape thermal chalybeate spring" (pp. 202-203). Many years later he and Professor D. McMillan contributed a paper on "Alcohol mixtures as motor fuel in South Africa" (South African Journal of Science, 1929, Vol. 26, pp 29-38). He served as president of Section B (which included chemistry) in 1935, and as president of the association in 1944. Rose became a member of the British Association for the Advancement of Science in 1905 and was elected a Fellow of the (British) Chemical Society. In 1933 he was elected a Fellow also of the Institute of Chemistry of Great Britain and Ireland. By 1910 he was a member of the Royal Society of South Africa and in 1943 was elected one of its Fellows. 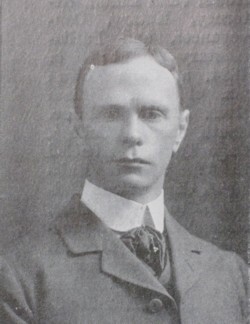 He became a member of the South African Association of Analytical Chemists (from 1921 the South African Chemical Institute) in 1913, and in 1923 was elected president of the Cape Chemical Society. In his youth Rose was an outstanding sportsman. He held the world record for one hour amateur cycling in 1899-1900 and, as captain of the Alfred Rowing Club, he won five championships for six oars in Table Bay. Throughout his career he was active in military affairs. He served in the South African College Cadet Corps for five years and became its commander. During the Anglo-Boer War (1899-1902) he held the rank of captain, was second in command of the Cape Colonial Cycle Corps, and received the Queen's Medal with five clasps. After the war he served as a lieutenant in the Duke of Edinburgh's Own Volunteer Riles. At the outbreak of World War I (1914-1918) he was detached for special service with Mechanical Transport during the German South West Africa campaign (1914-1915) and earned the Star and Croix de Guerre. Thereafter he was appointed Director of Mechanical Transport in the Union of South Africa Defence Force, with the rank of lieutenant-colonel, served as Chief Inspector of Mechanical Transport in East Africa, and was awarded the Distinguished Servive Order (DSO). During the early nineteen-twenties he was the officer commanding the Duke of Wellington's Own Volunteer Rifles. When World War II broke out in 1939 he resumed service as Director of Transportation of the Union Defence Force and from 1940 to 1942 again served as Chief Inspector of Mechanical Transport in East Africa. During the nineteen-twenties he was vice-chairman of the Royal Automobile Club of South Africa. British Association for the Advancement of Science. Report of the seventy-fifth meeting..., South Africa, 1905, list of members. Cape of Good Hope. Report of the senior analyst, 1896, 1897, 1901. De Villiers, M. 1902-2002: Centenary report of the Agricultural Research Council Institute for Soil, Climate and Water (Publications, pp. 85-114). Pretoria: ARC-ISCW, 2002. Heese, J.A. South African genealogies. Pretoria and Stellenbosch, 1986-. National Automated Archival Information Retrieval System (NAAIRS). http://www.national.archives.gov.za/naairs.htm Documents relating to Captain J.G. Rose / Col. J.G. Rose / J.G. Rose. Obituary: Col. J.G. Rose. South African Journal of Science, 1973, Vol. 69, p. 224. Rose, J.G. Paul Daniel Hahn: First Memorial Lecture. South African Industrial Chemist, Novermber 1960, Vol. 14, pp. 204-206. Royal Society of South Africa. Transactions, 1910, Vol. 1 and 1917, Vol. 6: Lists of Fellows and members. South African Journal of Science, 1929, Vol. 26, paper by Rose; 1937, Vol. 34, pp. xiii-xix: Presidents and secretaries of the sections. South African who's who, 1908, 1919/20, 1923/4, 1927/8, 1931/2, 1933, 1936, 1939, 1944, 1950, 1955, 1960, 1963, 1966, 1969, 1972. University of the Cape of Good Hope. Calendar, 1893/4.